The Lebanese Republic has lots of famous fashion designers and they seem to know their job really well. One such great designer is ZIad Nekad. He worked in fashion since very young age and quickly managed to make an international career. 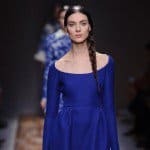 Now, women from all around the world wear his designs and can’t wait to see his newest designs. His newest collection is out and we are sharing it with you today. 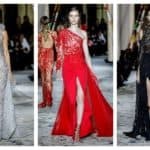 Scroll down through this article and see some Breathtaking Evening Dresses | Ziad Nakad Fall Winter 2018-2019. They are going to fascinate you and will be your love at first sight. Ziad won’t disappoint you this time too! 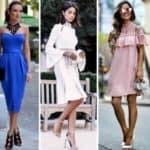 These dresses will appeal to women who want to make a dramatic appearance and charm everyone with dramatic sophistication and glamour. He paid attention even to the smallest detail and each dress tells a different story. The timeless beauty of the creations will steal the show and you will be in the center of attention everywhere you go in them! Check them out and see which one will catch your eye the best!